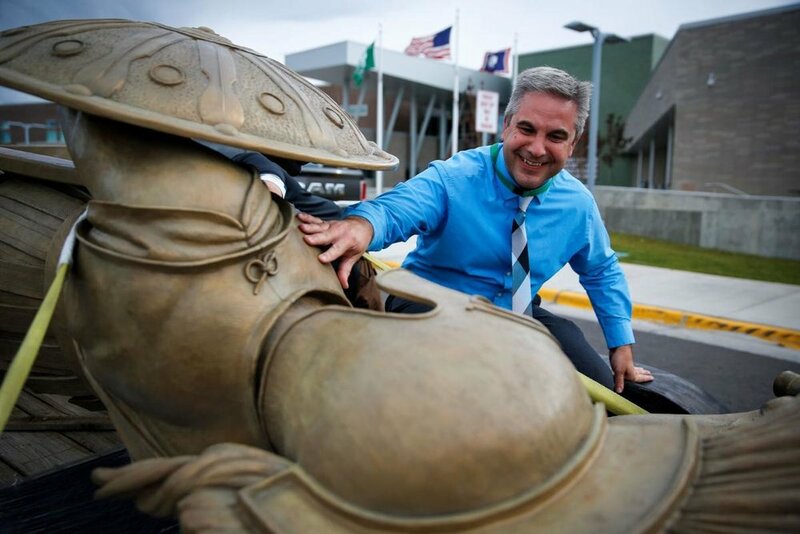 It’s fun to see a news report on the installation of David Alan Clark’s 9 ft trojan sculpture ‘Fight On’ at Kelly Walsh High School in Casper, WY. Check out the report that has a shout out to Baer Bronze! Congratulations to David on another fantastic monument!